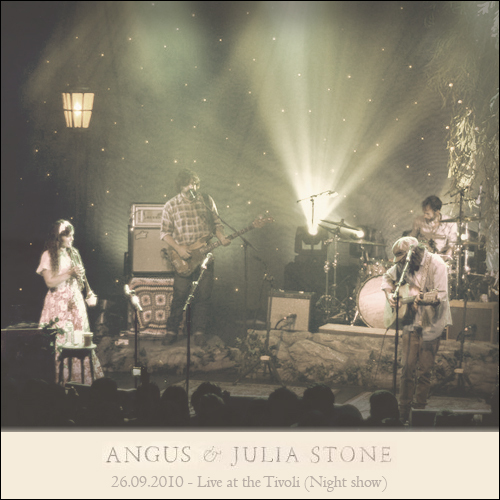 This was the night time show (6:30pm doors) at the Tivoli. 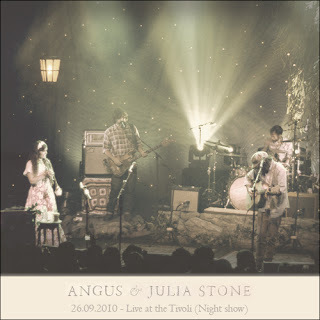 Angus and Julia were incredible, such an amazing duo. Talented beyond words. Wasn't too keen on the all ages crowd. Got stuck in a group of chatty teenage girls, and couldn't get away. I've tried to take them out a bit in the mix, but you can't do much with an audience recording. I've boosted the left channel a bit, as they were on my right.